Cazinc is a collective of Melbourne bloggers that explores culture in many forms – from fashion and style, travel, lifestyle and wellbeing, to the culinary and decorative arts. Our feet are responsible for carrying our weight throughout the day, especially if we walk the oft-recommended 10,000 steps. Yet many of us don’t realise the unnecessary stress and pain we may be putting on our feet by wearing shoes that don’t fit well or fail to provide the proper support. One in five people suffer from foot pain, and while shoes alone may not be able to cure every individual case, many people find that a new pair of supportive boots or sneakers is enough to eliminate or significantly reduce symptoms. These shoes will help you manage your pain and feel more comfortable while allowing you to maintain a more active lifestyle. Why Does Foot Pain Occur? People can experience pain in all areas of the foot, including the ball, outer edge, heel, and toes. Pain and other symptoms can be traced back to a variety of causes but two common reasons are putting too much strain on feet during exercise and wearing the wrong shoes. Another well-known reason for foot pain is ‘flat feet,’ or relaxed ligaments in the foot. This is usually hereditary, and while there is no cure, many people experience positive results after changing shoes or using a supportive insert. Plantar fasciitis is a widespread condition, especially in older people, and often results in heel pain. It causes inflammation and irritation and is generally brought on by excessive stress, such as that experienced while wearing shoes with soft soles or inadequate arch support. In addition to stretching before exercise and stopping when you feel pain, finding a pair of shoes with more support can act to distribute this stress more evenly throughout the foot, thereby improving your symptoms. If your pain is more in the ball of your foot than the heel, try finding a more comfortable pair of shoes. These symptoms commonly result from holding the foot in an unnatural position, so high heels may be making your pain worse. Consider wearing lower or flat shoes more often and see if this makes a difference. While your doctor may be able to recommend specific shoes depending on the type and severity of your symptoms, some general guidelines will help in a variety of situations. Give a new pair of shoes a week or two to see if they make a difference, and consider talking to your doctor if nothing changes. Many shoes don’t provide sufficient shock absorption, which can lead to an added impact on the sole of your foot when walking and running. Look for a shoe with more cushioning and support in the arch. If that isn’t enough, you may want to try an insert designed to give added support (easily available to purchase at pharmacies and selected shoe stores) or even have a custom insert designed to fit your feet. You should consider sizing up if you’re dealing with a bunion, one of the most common causes of toe pain. Slightly larger shoes will give your foot the space it needs and allow it to rest in a more natural position rather than being compressed and exacerbating your condition. On the other hand, overly loose shoes can leave your foot sliding around, reducing stability and comfort. Most of us don’t think about our shoes daily, but they may be doing more harm than you realise. 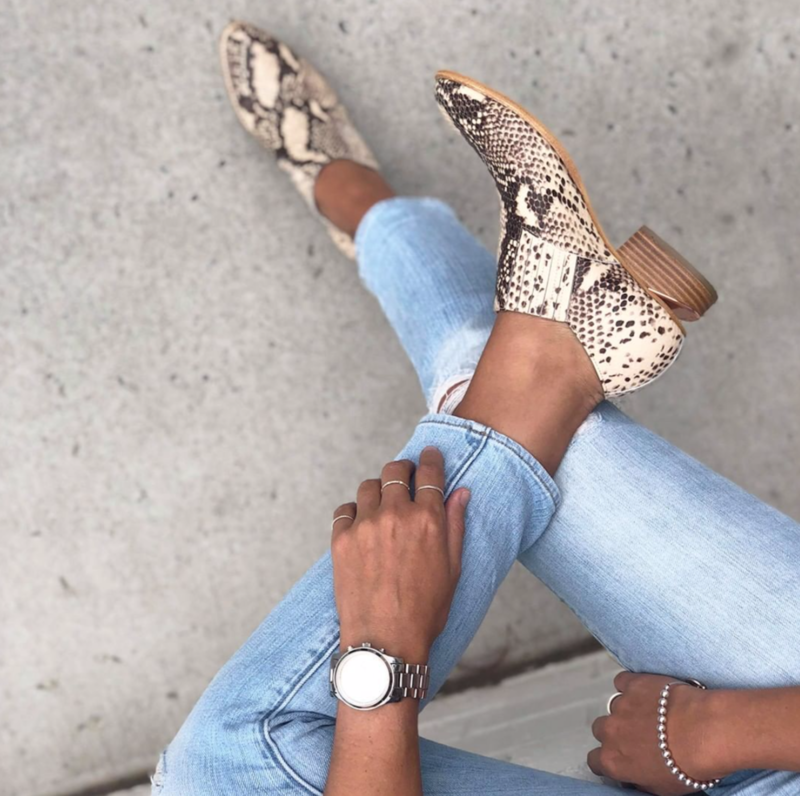 Buying new shoes isn’t a replacement for medical attention in more severe cases, but it can have a surprising impact on a range of symptoms as well as your overall comfort. Article written by Clarissa Rivera from Taos Footwear. Find articles and stay in the know by subscribing to Cazinc on the website, or join us on Facebook, Instagram, Twitter, Pinterest, and LinkedIn. Please leave comments below or email Carolyn@cazinc.com.au. Jul 30 How To Change Anger To Happiness? Feb 3 Why Is It Important To Relieve Your Neck Pain? Thinking of starting a blog? Learn everything Caz had to learn the hard way easily and effortlessly with this easy to follow guide with everything you need to know about starting a blog and how to make money from it, almost straight away! Receive a weekly email to your inbox. Unsubscribe anytime. Thank you! You have been sent an email to confirm your subscription. We look forward to hearing back! Copyright © Cazinc. All Rights Reserved.